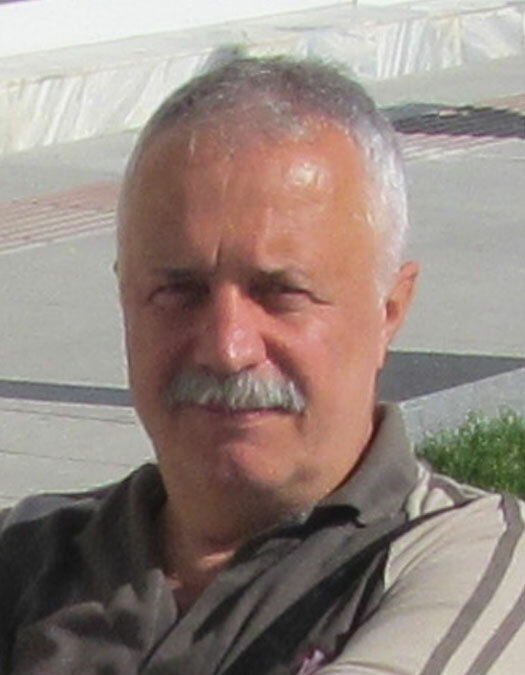 Vasile Danut Ursu, senior engineer, is Head of the Optical Systems and Imagistic Laboratory in IOEL. He graduated at the Polytechnic Institute of Bucharest, Faculty of Mechanics, Department of Optics and Measurement Equipments. He has extensive engineering experience in optical design, optics testing methods, machine vision after 35 years working in IOR, Pro Optica and IOEL. He has a rich experience in the design and testing of imaging optical systems. He has participated as an optics expert in elaboration of 11 US patents regarding the “Automated statistical self-calibrating detection and removal of blemishes in digital images“ (7,206,461 , 7,545,995, 7,536,060, 7,424,170, 7,369,712, 7,340,109, 7,315,658, 7,310,450, 7,308,156, 7,206,461). Mr. Ursu has lead the design and realization of ATOS (patented – Alert Tracking Observation System), as Romanian contribution to an international project (IDetect4All „Novel Intruder Detection & Authentication Optical Sensing Technology “ FP7- Security 2007 ), registered at OSIM RO u 2011 00004, and title “Sistem de observare si supraveghere inteligent, multisenzor, pasiv si/sau activ, modular si configurabil – ATOS “ (Smart, multi sensor, modular and configurable observation and surveillance system –ATOS) . Mr. Ursu is member of the Romanian Association of Optoelectronics and is Chairman President of TC 230 “Optics and Optical Instruments” Romanian representative of ISO/TC-172 standardization comitee.